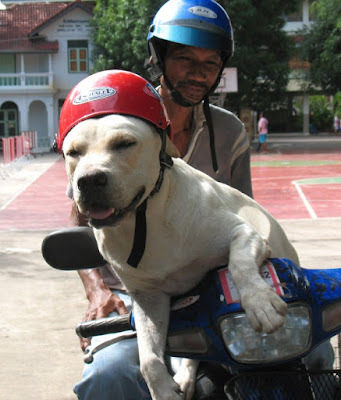 A dog on a motorbike, seen it. Not too uncommon. But today I saw a new one. The owner must love his pooch.